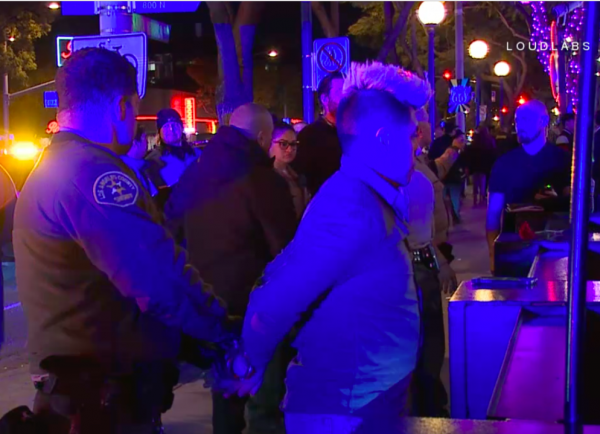 A customer being escorted out of Micky’s turned and stabbed a security guard at the West Hollywood bar last night. The security guard was stabbed twice in the back and was taken to Cedars-Sinai Medical Center, where is reported to be in good health. He apparently had been stabbed twice with a pocket knife and the injuries were minor. Witnesses on the scene said that Sheriff’s deputies responded quickly to the stabbing, which occurred shortly after 1 a.m. at the bar, which is on Santa Monica Boulevard just west of Larrabee Street. The deputies handcuffed the suspect. As of yet it isn’t clear why the suspect was being removed from the bar. When elected you see a big change.did you know RAGE has no Camaras.quess they don’t care about their customers.everyone will be held accountable for their actions.and there will be security ambassadores.and sheriff deputies. And clean up this smelly mess they call boys and girls town.its the very engine that started our city in 1984. LETS START CARING ABOUT IT? Tom, stop driving your jeep in the bike lane. How is somone who is breaking the law in WeHo trying to run for City Council in WeHo. No votes for you. We need permanent security presence on Santa Monica please city council please listen. Yes, Sheriffs walking the best on weekends up & down the Blvd would cut down on a lot of the crap that goes down.